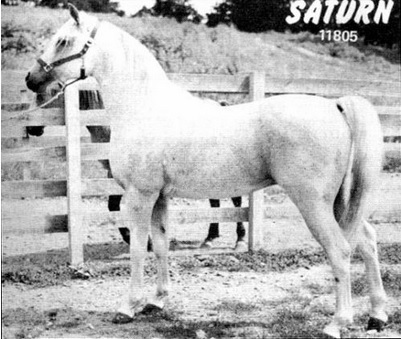 My introduction to the horses that were a product of Alice Payne’s Asil Ranch came in the form of Saturn 11805 (Mysterraffles x Prochi – pictured above at the top of page as the article/header photo), who was 68 ¾% *Raffles blood. It was love at first sight. It was my association with this stallion over the years that inspired my fascination with the horses coming from such an intense inbreeding program, and with the “genius” who dared to carry it on. The base for this intense inbreeding was *Raffles (who was himself a product of a father-daughter mating), and Alice bred a mare that was, to my knowledge, the most inbred horse ever produced. She was they grey Celeste 6998 (*Raffles x Afara), and she was 87 ½% *Raffles blood, being sired by *Raffles and out of a *Raffles daughter, Afara (*Raffles x Rafarah), who was also out of a *Raffles daughter, Rafarah (*Raffles x Rasasah). Celeste was bred to the *Raseyn son, Shereyn 926, to produce her first foal, a bay filly, Venus 11803. She next produced the filly Miraa 13003 and a colt Asil Zenith 14757, both by Rafferty 8658 (*Raffles x Masrufa), making these two 75% *Raffles blood. Her remaining six foals were all sired by one of the “four brothers.” These six foals were: Asil Zephyr 16683, Asil Zillah 21538, and Asil Zealot 26237 by Syzygy 11802; Asil Zeus 19019 by Orbit 12950; Asil Zahra 30219 by Asil Ecliptic 14548; and Asil Talsiman 35301 by Asil Apogee 16307. This gives Celeste a total of four fillies and four colts. The last six horses are all full brothers and sisters by blood, and they are all 78 1/8% *Raffles blood. Ecliptic, Apogee, and especially Syzygy, were utilized by Alice in her program, but Orbit was sold as a youngster to Dr. William (Bill) Munson who owned him until his death. Alice sold Orbit because he was bay rather than grey, and Bill bought him for the same reason. Ecliptic was sold to Garvin Tankersley and went to Maryland, Syzygy was sold to Lois Selby Perry in Connecticut where he was used before Lois leased him to Dr. James Rooker in Michigan, where he died. Apogee was purchased by Dr. Rooker and he remained there until his death. Syzygy sired a total of 62 foals before his untimely death. He was bred to mares such as Rafalia 8783 (Rapture x Rosalia), Fusha (Ronaq x Rafarah), Celeste, his own dam, Raffletta (*Raffles x Rafarah), Zareyna (*Zarife x Kireyna), Trity (Hamdan x Afara), Destynee (Rasraff x Afara), Asil Vela (Rafferty x Rafalia), Asil Capella (Syzygy x Rafalia), Venus (Sheryn x Celeste), Prochi (*Raffles x Rafarah), Asil Diane (Rafferty x Prochi), Asil Phoebe (Rafferty x Trity), Asil Aurora (Syzygy x Raffleeta), Asil Nebula (Rafferty x Prochi), Asil Vanity (Rafferty x Venus), Baffles (*Raffles x Rasrah), Masrufa (Rasraff x Rasrah), Asil Memory (Mars x Masrufa) and Asil Polonaise (Asil Ecliptic x Prochi), in the Payne breeding program. He sired foals ranging from 34 3/8% *Raffles (out of total outcross mares such as Zareyna) to78 1/8% (out of the intensely inbred Celeste). Of the Syzygy foals, Asil Aristocrat has a pedigree of particular interest in that Syzygy was bred to his own dam to produce Asil Aurora, and he was then bred to his daughter (Aurora) to produce Aristocrat. 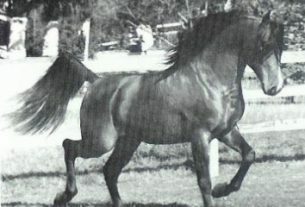 Orbit was bred to Celeste to produce Asil Zeus 19019 (78 1/8% *Raffles blood) and to Venus to produce Asil Astro 20580 (56 ½% *Raffles blood). Orbit’s breeding career took place at Dr. William Munson’s Shalimar Ranch, with a short lease to Carroll Nelson in Bowen, IL. Ecliptic sired 43 foals out of mares such as Joi (Rasraff x Nejmat), Prochi, Zareyne, Celeste, Asil Lyra (Rafferty x Afara), Destynee, Venus, Asil Zephyr (Syzygy x Celeste), Asil Diane, Asil Ariel (Syzygy x raffleeta), Asil Zillah (Syzygy x Celeste), Asil Bint Raffleeta (Syzygy x Raffleeta), Asil Nebula, giving us foals ranging from 34 3/8% *Raffles blood (again, out of mares such as Zareyna) to 78 1/8% *Raffles blood (from Celeste) out of these Alice Payne mares. Apogee sired 78 foals out of mares such as Zareyna, Celeste, Joyful (Mars x Joi), Asil Diane, Asil Gem (Mars x Asil Gamma), Asil Zahra (Ecliptic x Celeste), Venus, Asil Denebola (Rafferty x Destynee). Asil Lyra, Asil Zephyr, Destynee, Asil Vesta (Syzygy x Venus), Asil Memory (Mars x Masrufa), Asil Zillah, Asil Palmyra (Ecliptic x Prochi), Asil Amazon (Rafferty x Masrufa), Asil Aurora, giving us foals ranging from 34 3/8% *Raffles blood (x Zareyna) to 78 1/8% *Raffles blood (x Celeste), from the Payne breedings. Raffleeta 8048, after producing the “four brothers” by Rafferty 8658, was then bred to her own son Syzygy three times and produced three fillies – Asil Auroroa 18750, Asil Ariel 21539, and Bint Raffleeta 24541. That makes these three mares 71 7/8% *Raffles blood. Prochi 6996 (*Raffles x Afara) produced her first foal by the Davemport stallion, Tripoli 4591, but was bred to *Raffles bred stallions for the rest of her foals. Her first *Raffles bred foal was Saturn 11805 (x Mysteraffles 7353), 68 ¾% *Raffles; Rasraff’s Comet 13012 (x Rasraff 2365) 62 ½% *Raffles; and four by Rafferty – one colt, Asil Pleiades 16035, and three fillies, Asil Diane 18221, Asil Nebula 20579, and Asil Prima Domma 62997. These four are 68 ¾% *Raffles blood. Prochi produced three foals by Ecliptic – Asil Debora 23622, Asil Polonaise 35299, and Asil Palmyra 40672, all fillies. These three are 71 7/8% *Raffles blood. Prochi produced one son, ASil Dygnyty 29496 by Syzygy. He is a full blood-brother to the three ecliptic daughters, and is 71 7/8% *Raffles blood as well. Prochi produced two more foals, both fillies, by Asil Zealot 26237 (Syzygy x Celeste); Asil Pandora 47866 and Asil Prophesy. These two mares are 76 9/19% *Raffles blood. 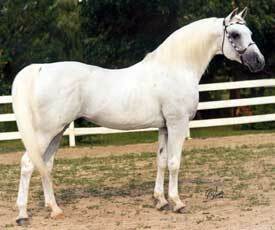 Rafarah 2624 (*Raffles x Rasasah) produced two foals by *Raffles before Alice acquired her – Raffraffra 3479 and Afara 4352. For Alice she then produced Taurag 6135 (x Rasraff 2365) and one colt, Deyn 5391, and two fillies, Prochi and Raffleeta by *Raffles, making these three horses 75% *Raffles blood. 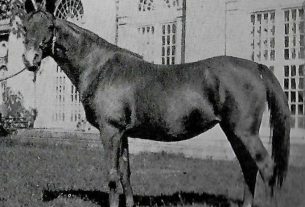 Rafarah then produced two foals, one by the *Raffles son, Tut Ankh Amen 3830, and one by the *Raseyn son, Ronaq 1958, for the Drennens. Rafarah was then returned to Alice and produced two foals, both colts, Jupyter 11804 and Joopter 13587 by Mysteraffles. She also produced two colts by Rafferty, Asil Juno 16036 and Asil Antares 18219 (who was owned for many years by Anna Best Joder, the founder of the Arabian Horse News). These last four foals carry 56 ¼% *Raffles blood. 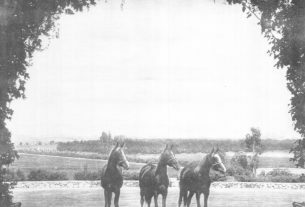 Prochi, Raffleeta, and Afara were three of the cornerstone mares in Alice’s breeding program. Afara 4352 (*Raffles x Rafarah by *Raffles) only produced one foal by *Raffles before he died, so I don’t know if Alice would have tried the mating again or if she would have been satisfied with the one foal she did get from the cross – the 87 ½% Celeste. After the death of *Raffles, Afara produced a daughter of Hamdan 6602; Trity 10412; Destynee 11800, a daughter by Rasraff 2365; one daughter Asil Lyra 13002, and two sons, Asil Altair 14549, and ASil Hard 18222 by Rafferty 8658. The three Rafferty x Afara foals are all 68 ¾% *Raffles. Lyra was an elegant mare that “dared” anyone not to notice her, and hse has always been one of my favorites. Bint Aziza 6997 (*Raffles x *Aziza) only produced two foals for Alice before being sold to Tish Hewitt. Both of these foals were fillies, Asil Bint Bint Aziza 13586 and Asil Rafziza 16570, both by Rafferty, making these two mares two of the least inbred horses at 56 ¼% *Raffles blood. Alice used Asil Zealot 26237 (Syzygy x Celeste), who sired seventeen foals for her out of such mares as Prochi, Asil Vesta (syzygy x Venus), Asil Galaxy (Mysteraffles x Masrufa), Asil Delyte (Syzygy x Destynee), Asil Ariel (Syzygy x Raffleeta), and Asil Diane (Rafferty x Prochi), giving us foals with 60 15/16% *Raffles blood (x Asil Galaxy) to 76 9/16% *Raffles blood (x Prochi). 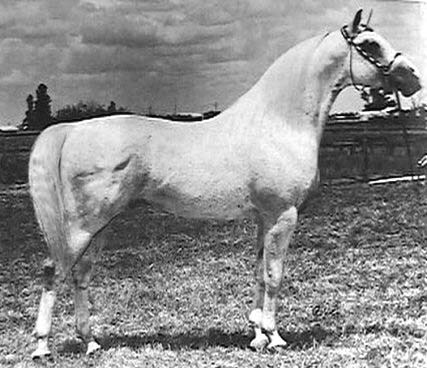 Rafferty was used extensively in Alice’s breeding program, and he was a beautiful stallion who was also a “personality.” He was leased for a short time to Tish Hewitt of Friendship farms in East Moline, IL, and then was sold to Dr. James Rooker of Davidson, MI, after the death of Alice, where he spent his last years. Rafferty sired a lifetime total of 149 foals from a variety of mares. Alice had a second breeding program that was carried on with her “J Mares,” and for the most part were bred to Mars (Rasruff x Rafalia by Rapture). Mars was 43 5/8% *Raffles blood, so was not of the intense inbreeding as most of her breeding stallions. Mars was used on mares such as Joi, Asil Galaxy, Asil Gamma, Masrufa, Destynee, Denebola (Rafferty x Destynee), Joyful, Asil Amazon, Asil Jiva (Mars x Joi). This program gives us horses ranging from a low of 34 3/8% to a high of 53 1/8% *Raffles blood. 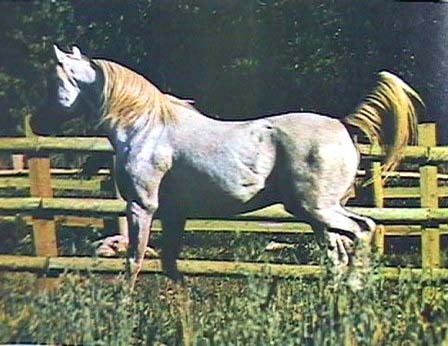 A few other stallions of her breeding sired a handful of foals for Alice, but the number is insignificant as almost everything was sired by Rafferty or one of the “three brothers” that she utilized. The excess stallions were sold as were mares on occasion, and these mares were highly prized by breeders large and small for an outcross for their own bloodlines because the type was fixed by inbreeding. I have personally seen almost all of the horses bred by Alice Payne, and they are correct, typey, with super dispositions, intelligent, and are “people horses.” They are as alike as peas-in-a-pod, and the only thing that Alice lost in her intense inbreeding program was some size in some individuals. These were horses that one knew were Arabians the minute one saw them. Alice gave most of her horses a name that had to so with astrology, hence some of the interesting names seen with her horses. I learned quite a lot about the subject simply looking up the names of her horses in the dictionary! Some of my favorites that are typical examples to come from this breeding program include Saturn, Orbit, Asil Lyra, Asil Zitron, Asil Palmyra, Asil Zenda, and Asil Memphis, among others. I think you will agree that these are “domestic American-bred” horses that have been produced from the insightful, carefully planned breeding program of the late Alice Payne.